The Cape House is a large antique house on a private wooded area fronting a pristine lake in Sandwich, Massachusetts. With a private beach, soccer field, outdoor volleyball court and basketball court, the house provides many opportunities for a fun and relaxing Cape Cod vacation. The home accommodates up to 24 people. It is fully equipped with extensive cooking facilities, large dining areas and oversized living room while still maintaining the charm of a big, old family vacation home. 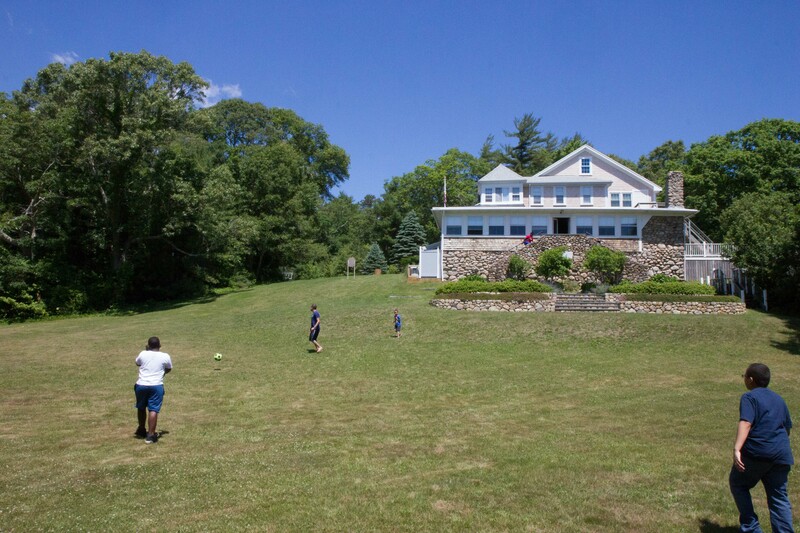 The Cape House is offered as a free vacation place for qualifying children from all over New England. In 1953, Cardinal Cushing established the Nazareth Child Care center, in Jamaica Plain, to house, counsel and educate needy children. The Nazareth House emerged as an exemplary accomplishment in residential child care for more than 180 children of all religious backgrounds. Nazareth became a model for the child care community. The Archdiocese of Boston operated Nazareth at a substantial deficit. The Nazareth Food Association was founded in 1960 by a small group of leaders from the food industry for the purpose of helping to support the Nazareth Child Care Center. The Nazareth Food Association added a residential vacation home for the children. Initially the association rented various vacation homes and in 1972 purchased a large home in Sandwich, Massachusetts. The home, now known as The Cape House, was fully funded by the association. The Archdiocese closed the Nazareth House in 1985 for financial reasons. At that time, the Nazareth Food Association changed its name to the New England Food Foundation and continued to serve needy children by shifting its focus to supporting other residences and programs in the New England area. The Cape House remains the primary commitment of the foundation.